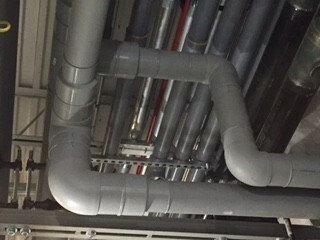 NIRON pipes and fittings were installed in Sherwood Forest Elementary School and in Paul Habans Charter School in the City of New Orleans. After an exhaustive presentation of the electrofusion technique, the contractor selected this option for being an excellent time and money saving option. Diameters ranged from 2" through 6", with several transitions from steel and copper. 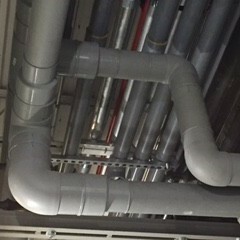 The system was installed for chilled water, potable hot and cold water. PP-RCT is a complete polypropylene pipe and fitting system manufactured using random copolymer polypropylene PP-RCT, a plastic material with a special molecular structure ensuring high mechanical resistance and duration, even at high temperatures and pressures.